I read this article and found it very interesting, thought it might be something for you. The article is called Las Vegas hotels, vacations on sale and is located at https://www.cheaptickets.com/blog/2008/10/las-vegas-hotels-vacations-on-sale/. Stratosphere Casino Hotel & Tower: Located at the top of the Las Vegas Strip, the Stratosphere Casino Hotel and Tower is the closest Las Vegas hotel on the Strip to downtown Las Vegas and the Fremont Street Experience. See this breathtaking view for yourself as you dine 800 feet off the ground in the rotating Top of the World restaurant located at the peak of the Stratosphere’s tower. When you book your room now on CheapTickets, you’ll save up to 50% off regular room rates. With rooms from $26 per night, you will have plenty of money left over for the slots! Wynn Las Vegas: Let Wynn Las Vegas show you what it’s like to do Las Vegas like a celebrity! With a see-and-be-seen pool, a luxurious spa and top-notch rooms, youwill feel like you just stepped of the red carpet. Thanks to CheapTickets, you don’t have to be on the big screen to take advantage of this lifestyle. For a limited time, CheapTickets is offering a free VIP upgrade to a Panoramic View Room, so book now and celebrate your cheapness in style! Luxor Hotel: While you may not be able to see the Nile from your window, this luxury Egyptian-style hotel offers fabulous views of its palm tree-lined pool. Deemed “a marvel of modern construction,” the Luxor Hotel offers the best of the best for a reasonable price. And now when you book your room at the Luxor on CheapTickets, you can get a $25 resort credit as well as a 2-for-1 spa pass. yearand 80-degree fall temperatures sound really good. 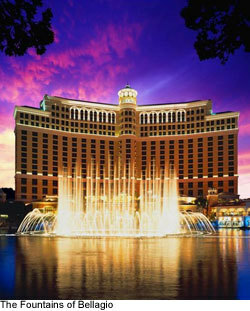 And with deals on Las Vegas hotels, and $75 off Las Vegas vacation packages, CheapTickets can help you get there.